DOOD.CA: Guy Stuff - Shaving, Girls, Cars, Electronics, MTG, Movies, and More! The 3-Band finest is one of the newer knots from TGN is a super premium “finest” badger knot, priced even higher than the Premium Silvertip knots. These are the same knots that were initially released as Super 2-Band Finest, but Anthony at The Golden Nib said that they have more of a 3-Band appearance so has changed the name of the knot. Still the same knot though as far as I understand. Now over to the characteristics and performance! This is an interesting feeling brush, very dense and quite nice to use. 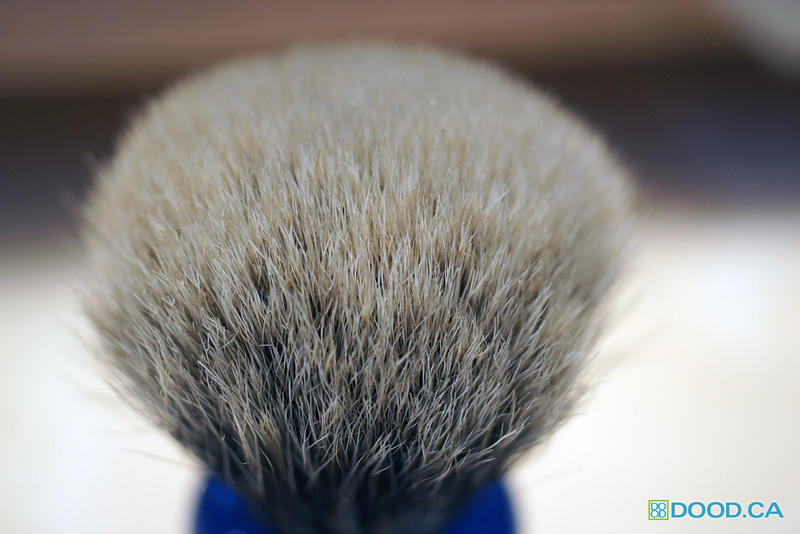 It is more scrubby as you would expect from a “finest” grade brush, and the hairs are on the coarse side. However, they are much more flexible than the famous TGN Finest that has become something of a cult phenom. 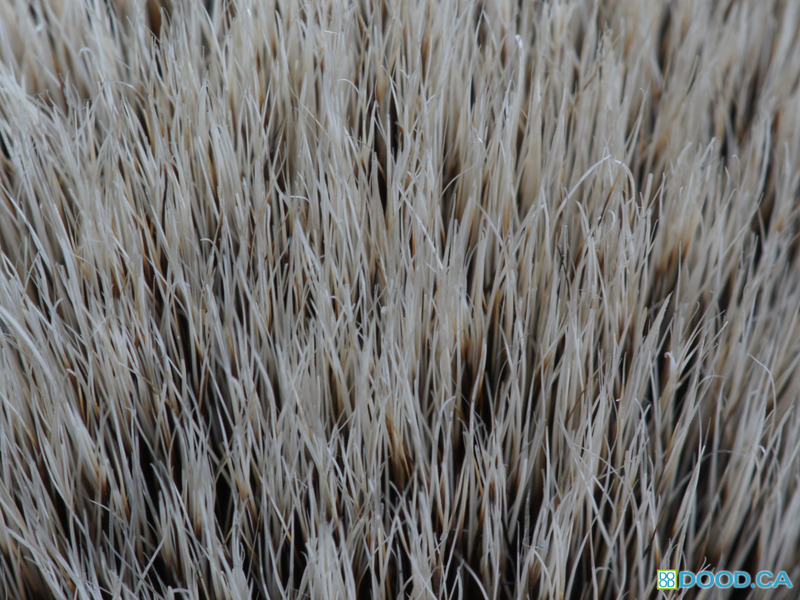 The hairs are also not quite as soft on the tips, but because of the overall flexibility of the hairs, it comes off feeling more like a scrubby silvertip. It is never prickly, however, so it is not like a “best” grade badger. The individual hairs are felt on the face when lathering, and the brush is very well packed. 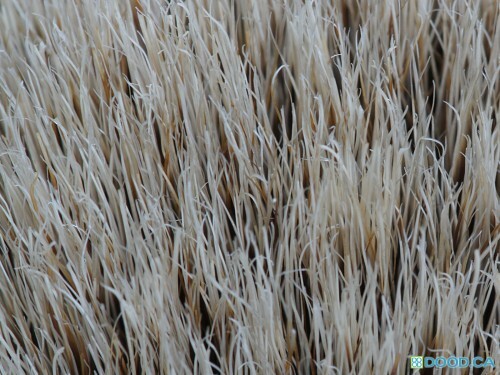 As you can see, the tips are quite grey, and not quite as brown as some of the other grades of hair available from TGN. Its quite a unique feeling knot, and I can’t really compare it to anything out there that I have tried commercially. The hair is very wavy, and looks quite different than most Silvertip hair. It gives a unique face feel though, and I think this is one of the strong suits of the TGN Super 3-Band Finest. Its not the softest hair, and as mentioned is scrubby, but the the flexibility of the hair allows it to splay easily on your face when you are doing circular lathering motions. This is something that the regular TGN Finest can be difficult with because of the stiffness of the hair – causing you to have to use much more pressure when doing circular motions. At the same time this is also the charm of the Finest. Very different hair here guys. This one is more similar to the F2 Finest overall. A little bit of zoom-in macro action here of the hair, you can see just how wavy it is. 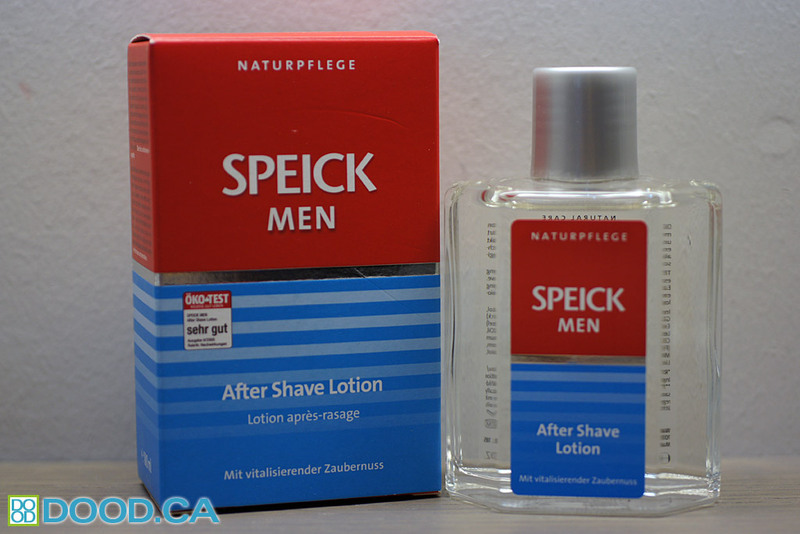 Tips are naturally terminating, and feel soft against the face. I do like the zero-scritch, but decent scrub feeling that it has. The hair also has great flow-through, and this might be because of the thicker hair.. it doesn’t hog lather the way thinner hair seems to even though it is a decently dense brush. It works very well with both soaps and creams as well as bowl and face lathering.. sort of a jack-of-all-trades. Overall a superb hair, and I think it complements a lot of the Silvertip knots from TGN very well, and also the Finest. 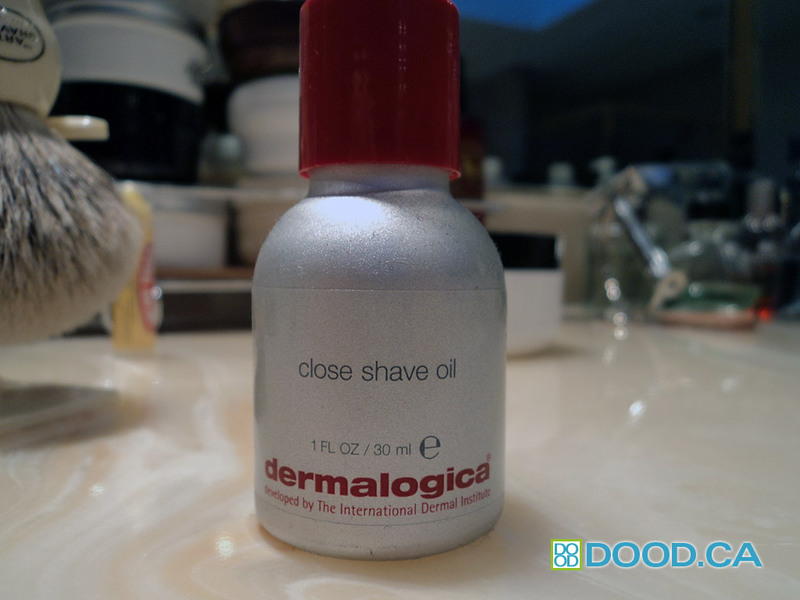 It is different enough that it gives a unique lathering experience and I would want it in addition to the other hair types. It is quite similar to the F2 Finest generally, but feels denser and the hairs appear to be thicker. I prefer it to the F2 Finest and if you want to spend the extra for this knot I wouldn’t not keep both an F2 Finest and the Super 3-Band Finest as this one feels like an improved version. A pricey knot, but one that gives a unique and enjoyable lather. The BK8 is a legendary shaving brush made by Kent Brushes, an old English company dating back to 1777. 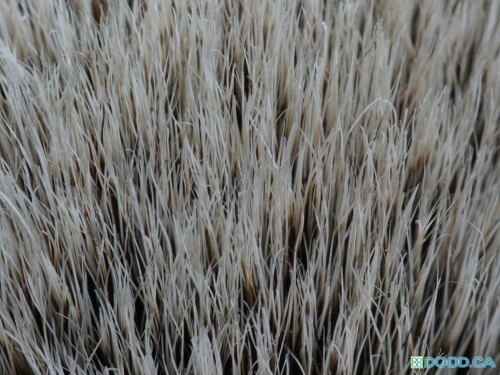 The BK8 is a large and luxurious brush, well-packed with soft silvertip badger hair. 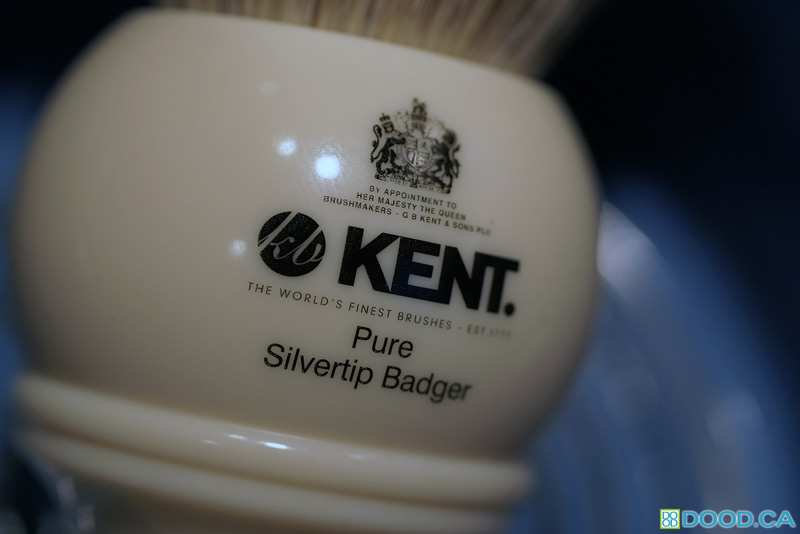 Kent Brushes holds a Royal warrant as well, as evidenced by the coat-of-arms on the handle. 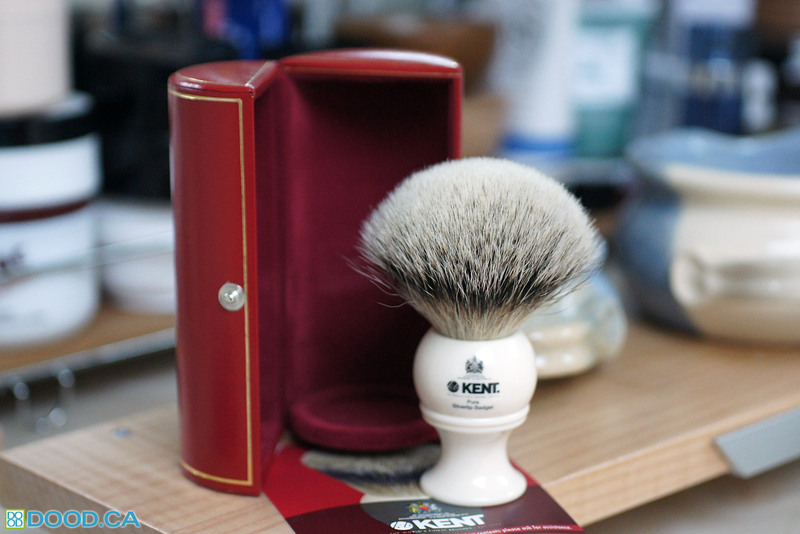 It comes packed in the trademark red cylindrical packaging that all Kent shaving brushes come in, with the red felt lined interior. Here it is in full bloom, the photo taken right after the first wetting. I cleaned it with some Proraso to break it in and it had less funky smell than most other brushes that I have owned. I wanted to get a brand new pre-use shot, because there is something about a brand new brush when the hair is all tight together. It looks so neat and tidy. The brush will never look like this again! A nice shot of the logo, and the Royal Warrant, “By appointment to her majesty the Queen”. Kent indeed makes some very fine brushes, for both shaving and for your hair. 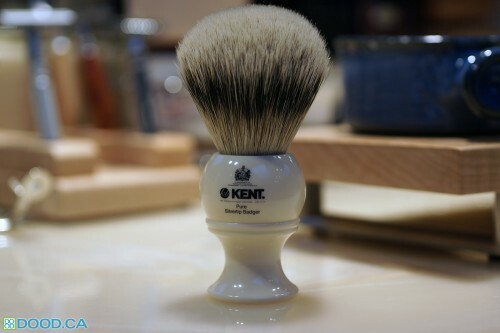 The handle is unique to Kent for the most part, with none of the other major shaving brush companies making a similar handle. Its also just about the most comfortable bowl lathering handle on the market! There the top down shot, to give you an idea of the density. Its a very well packed brush, but because it is fairly lofty, it doesn’t have that solid block-of-hair feeling that you’d get from something like a chubby. The brush nicely splays when you are swirling it on your face, and feels absolutely fantastic. Very soft, though not as soft as the softest out there – no hooked tips on this one. Here is a nice shot with a good swirl of shaving cream on it ready to go. 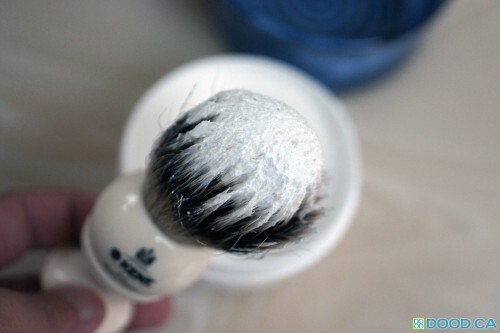 The brush is quite dense, and is probably one of the best bowl and cream lathering brushes on the market. If you’re a bowl and cream guy, this is one of the best choices out there. I find that it has a similar feel to a Simpsons Colonel 2XL, but at twice the size. The hair is not too scrubby, and is moderately thick, not too fine and certainly not fragile. The brush ranges in price from $120 to about $210 depending on where you buy it. The best deals to be had are from the UK direct. There she is whipping up a big bowl of lather. The brush has fantastic flow-through, and this is partly because its on the “floppy” side of the spectrum. 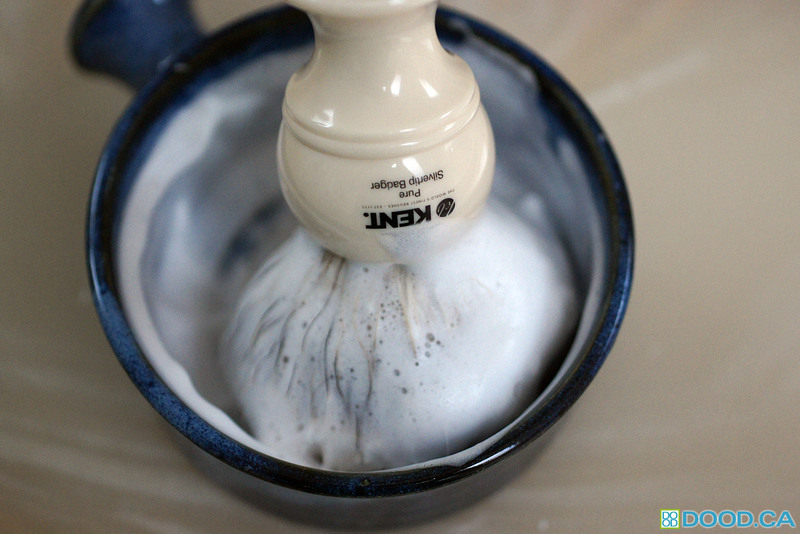 Many serious soap and face latherers would find the Kent BK8 a bit floppy and messy. Its a big brush and it covers a lot of area when you’re brushing your face, so it does lack the precision. However, so does chubby 3 but I don’t see anyone complaining about that brush! 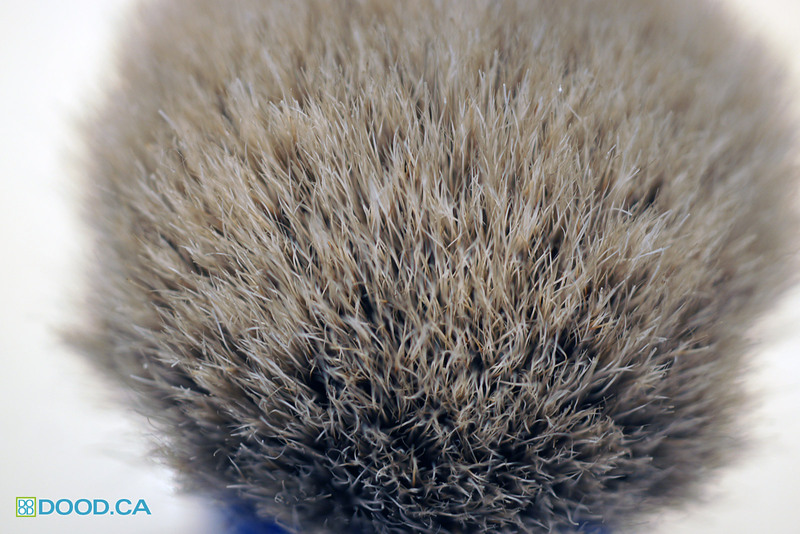 All-in-all, the BK8 is a big luxurious brush that does a great job with anything you throw at it, but really excels at bowl lathering creams. 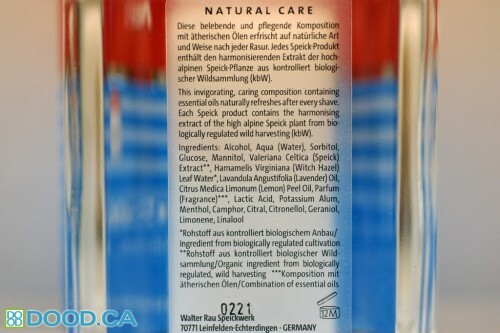 Its quite well-packed, but because of its floppiness it has excellent flow-through and lathers really easily. Overall I would highly recommend this brush to those that are looking for something like this. Its a good buy at what you can get it from direct from the UK. Its always interesting to see the variation that we find in the different types of TGN (The Golden Nib) knots out there, especially with so many different types sharing so many similar names and descriptions on the TGN site. 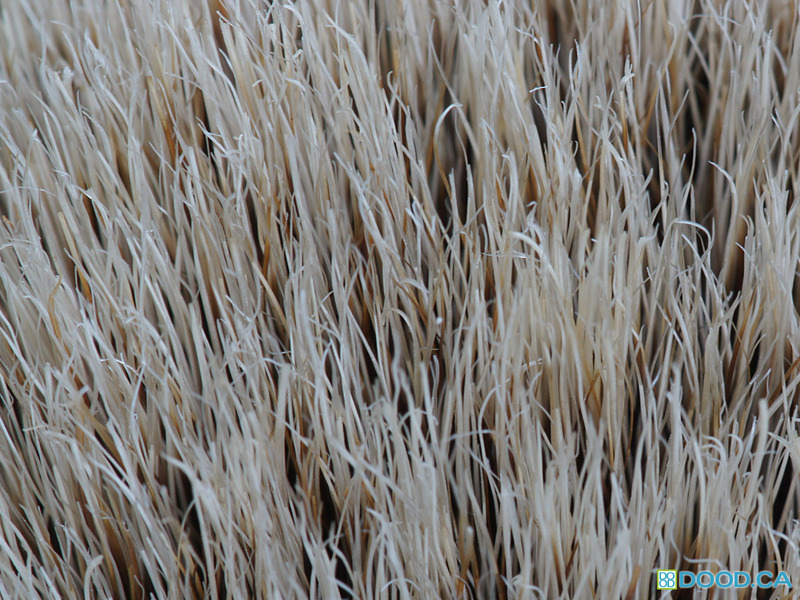 In addition to The Golden Nib Badger Knot reviews I have written, which I feel are some of the most in-depth comparisons of the TGN knot line, I felt that it would be useful for you guys to see what the Badger knot hairs are like close-up. This will be useful in seeing which ones have the desired “gel-like tip” qualities and also which ones have thicker hair shafts creating more backbone. First one we have here is the TGN Silvertip Grade A. 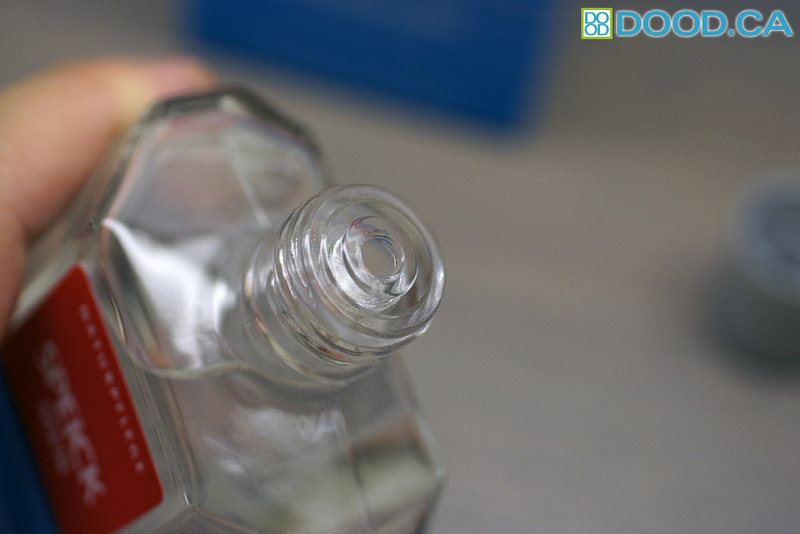 As you can see, lots of hooked tips, which contribute to this knots gel-like tips. The hairs are very fine. Next up is the Super Silvertip Badger, which is also a very good knot. You’ll notice some, but less hooked tips than the Grade A. 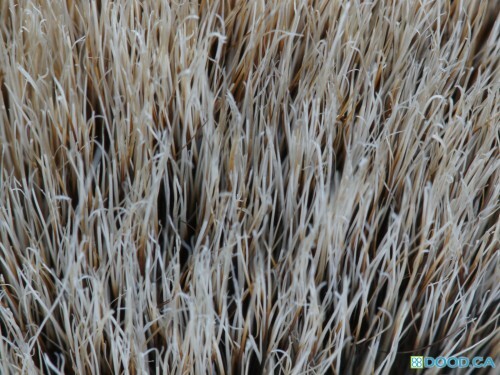 It has some VERY fine tips on some of the hairs, which you might notice have split. 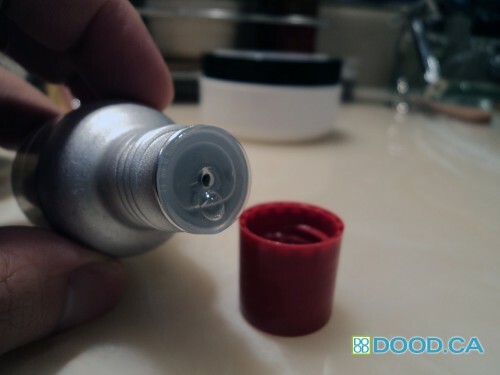 This is not necessarily a good thing like it is on Boar brushes as it means the hair tip will break eventually and lose softness. Hooked tips Galore! The Silvertip Premium is the softest TGN Knot I have owned. I have not tried High Mountain White yet, so keep that in mind. 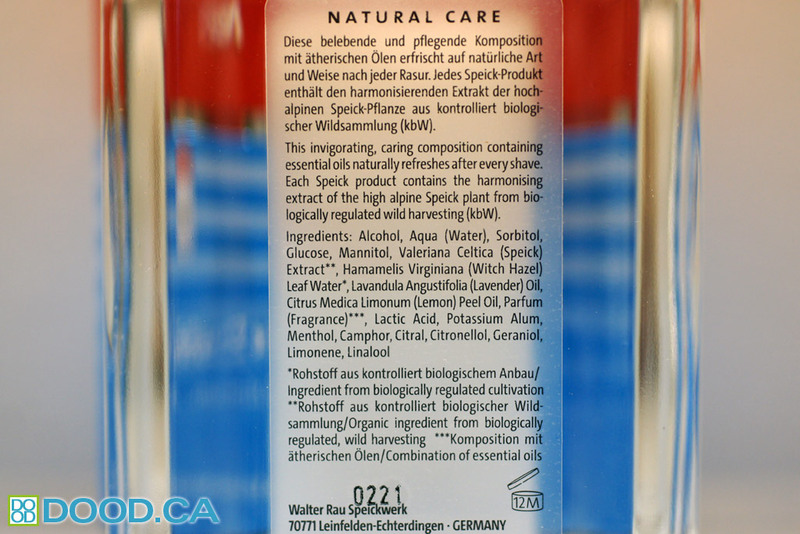 This is an incredibly dense and soft brush, with very luxurious gel-like tips. Initially I had indicated that the Silvertip Grade A had the finest hairs of the TGN Brushes I tried, but I am starting to think the Premium may actually have some that are finer. It seems to have a mixture of finer and thicker hairs. 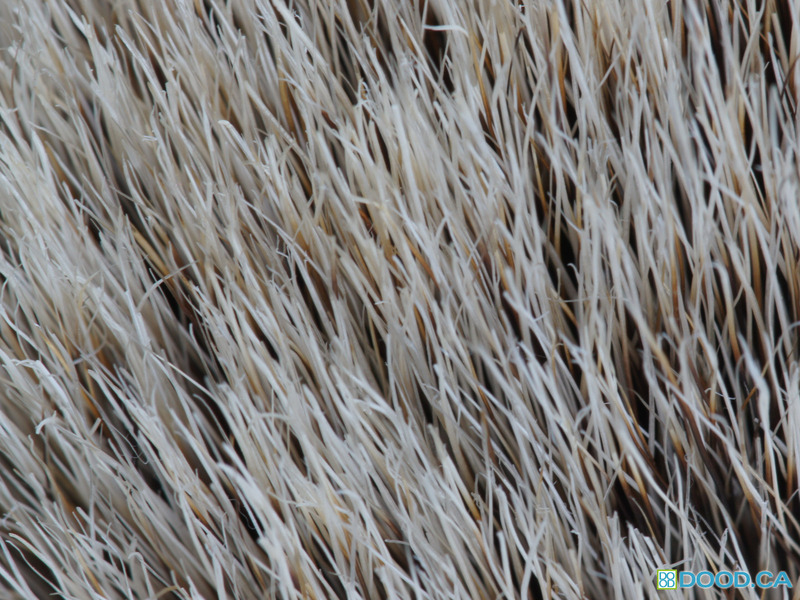 While it is not listed in their Silvertip section, it is a treated silvertip badger knot. I think its a great knot and has great face feel. A bit springier than I like, but still very nice. As you can see, not a lot of hooked tips, and it doesn’t gel. It is a great knot, however and is very well packed. 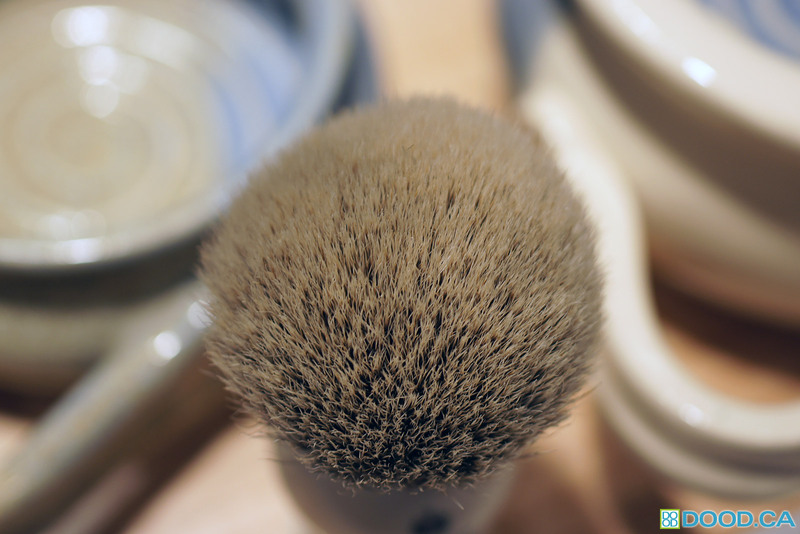 So I hope you enjoyed the TGN Silvertip Knot photos, and found them helpful in your continuing search for the perfect shaving brush. I always find it interesting to see what the hairs look like up close and how they differ. TGN Knots have also been known to not be always consistent, especially the Finest knots. The Silvertips seem to be relatively consistent for me over the course of the last two years.